Varna, Bulgaria - February 04, 2014: Apple Silver IPad Air 2.. Stock Photo, Picture And Royalty Free Image. Image 37133941. 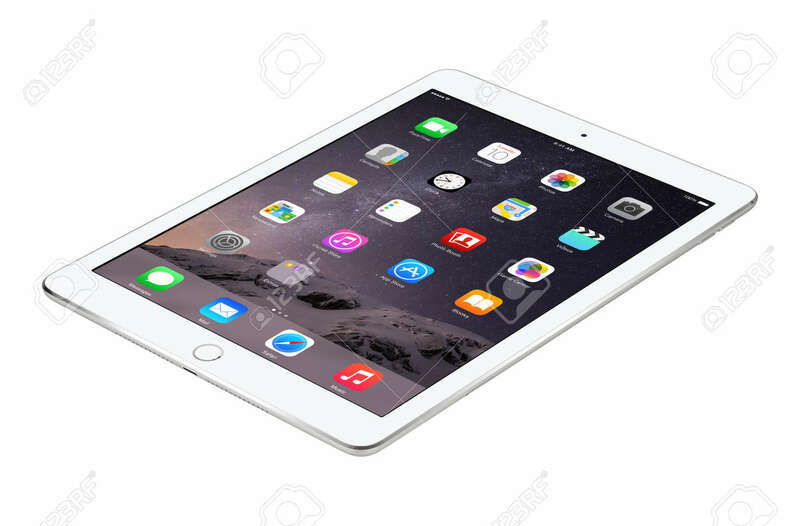 Stock Photo - Varna, Bulgaria - February 04, 2014: Apple Silver iPad Air 2 with touch ID displaying iOS 8 homescreen lies on the surface, designed by Apple. Isolated on white background. The whole image in focus. Varna, Bulgaria - February 04, 2014: Apple Silver iPad Air 2 with touch ID displaying iOS 8 homescreen lies on the surface, designed by Apple. Isolated on white background. The whole image in focus.